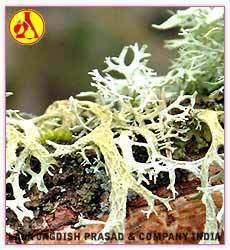 Oakmoss Absolute oil is solvent extracted from a light green lichen found growing primarily on oak trees, and sometimes on other species. The extraction of absolute by vacuum distillation of the concrete results a pale yellow or olive viscous liquid with a dry-earthy and bark-like odor. They have a high fixative value and blend with virtually all other oils. our Oakmoss absolute oil is most versatile and are used in all perfume types. Osmanthus fragrans is a flower native to China that is valued for its delicate fruity-floral apricot aroma. It is especially valued as an additive for tea and other beverages in the far east. 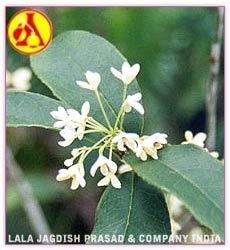 While the flowers of osmanthus range from silver-white (Osmanthus fragrans Lour. var. latifolius Mak.) to gold-orange (Osmanthus fragrans Lour. var. thunbergii Mak.) to reddish (Osmanthus fragrans Lour. var. aurantiacus Mak. ), the extract (alcohol absolute) is usually prepared from the gold-orange flowers. Osmanthus absolute is very expensive (~U.S. 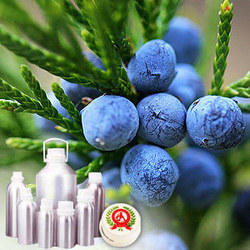 $4000.00 per kilogram) and accordingly is used in only the most expensive perfumes and flavors. Various workers have examined the different colored varieties and find that the gold-orange variety (e.g., Osmanthus fragrans Lour. var thunbergii ) tends to have more of the desirous notes and tend to be higher in carotenoid derived materials. Among the carotenoids of Osmanthus are all trans-beta-Carotene, all trans-alpha-Carotene and Neo-beta-carotene B.
Botanical Name : Osmanthus FragransOsmanthus fragrans is a flower native to China that is valued for its delicate fruity-floral apricot aroma. It is especially valued as an additive for tea and other beverages in the far east. While the flowers of osmanthus range from silver-white (Osmanthus fragrans Lour. var. latifolius Mak.) to gold-orange (Osmanthus fragrans Lour. var. thunbergii Mak.) to reddish (Osmanthus fragrans Lour. var. aurantiacus Mak. ), the extract (alcohol absolute) is usually prepared from the gold-orange flowers. Osmanthus absolute is very expensive (~U.S. $4000.00 per kilogram) and accordingly is used in only the most expensive perfumes and flavors. Orris root - is the root of some species of iris, grown principally in southern Europe. Once important in western herbal medicine, it is now used mainly as a fixative and base note in perfumery, as well as an ingredient in many brands of (perhaps most famously in Bombay Sapphire ). Orris root must generally be hung and aged for 5 years before It can be used for perfumery.Orris root - is the root of some species of iris, grown principally in southern Europe. Once important in western herbal medicine, it is now used mainly as a fixative and base note in perfumery, as well as an ingredient in many brands of gin (perhaps most famously in Bombay Sapphire gin). Orris root must generally be hung and aged for 5 years before It can be used for perfumery. 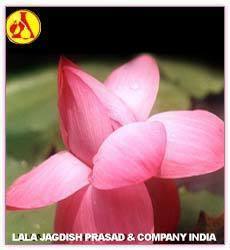 Pink Lotus Absolute Oil, Nelumbo nucifera, has been credited with numerous beneficial properties both physical and spiritual. The Ancient Romans and Greeks used it to cure ailments such as asthma, rheumatism and internal problems. Its purported healing powers have extended to epilepsy, jaundice, kidney and bladder complaints and even the plague.Pink Lotus Absolute Oil, Nelumbo nucifera, has been credited with numerous beneficial properties both physical and spiritual. The Ancient Romans and Greeks used it to cure ailments such as asthma, rheumatism and internal problems. Its purported healing powers have extended to epilepsy, jaundice, kidney and bladder complaints and even the plague. 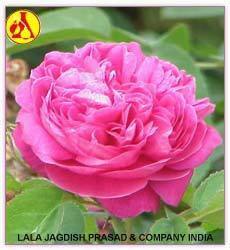 Rose Absolute Oil, Rosa damascena, is known best for its sensuous and intense sweet and floral fragrance. 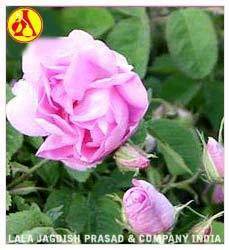 We manufacture best quality of rose absolute by steam distillation of fresh flower petals. The pure absolute ranges in color from various shades of pale yellow to olive yellow, and it congeals to a waxy thickness when cooled below room temperature. Our Rose Absolute is most effective for moisturizing and hydrating the skin, while having a general stimulant and antiseptic action, which is good for all skin types. Rose CO2 extraction, exquisitely feminine, the beautiful aroma of this oil is soothing and balancing to roller-coaster emotions during the feminine cycle, and used in skincare it is the ideal oil to care for dry, irritated and sensitive skin. 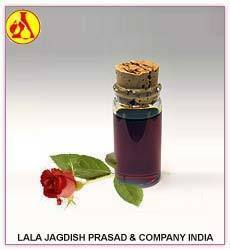 Rose oil is also known as rose attar, rose otto and rose absolute. Rose essential oil is extracted out of the petals of the roses through distillation and its fragrance is extremely divine. Tobacco absolute is a dense liquid with dark-brown to black-brown color with thin layer pale brown with sometimes greenish nuance and intensive aroma of tobacco. It is obtained from tobacco concrete.Tobacco absolute is a dense liquid with dark-brown to black-brown color with thin layer pale brown with sometimes greenish nuance and intensive aroma of tobacco. It is obtained from tobacco concrete. 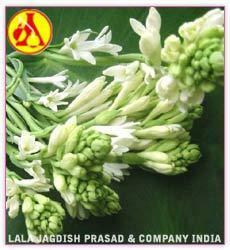 Uses: Tuberose Is Very Popular In The Perfume And Aromatic Industries. 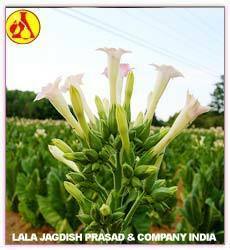 Tobacco absolute is a product used in Perfumery & Cosmetics Industry and as a Flavors in Tobacco Industry. Tuberose is a plant in the agave family Agavaceae. It appears as a rosette of thin leaves up to 45 cm (18 in) long, and puts out a spike of fragrant tubular white flowers in summer. The common name is the source of some confusion; it derives from Latin tuberosa, meaning swollen or tuberous in reference to its root system, but it has come to be thought of as derived from "tube + rose". Members of the closely-related genus Manfreda are often called "tuberoses". Known as a "Oil of Tranquility" Vetiver Absolute has a cooling and soothing effect. 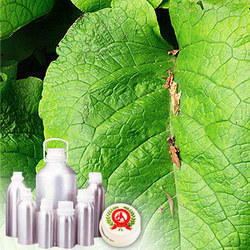 We offer pure hydrolised oil of vetiver which also called Ruh Khus. it has a rich emarld green color and unique fragrance of its own. this beautiful oil can take your scattered mind and help pinpoint it to a calm, still center.Known as a "Oil of Tranquility" Vetiver Absolute has a cooling and soothing effect. We offer pure hydrolised oil of vetiver which also called Ruh Khus. it has a rich emarld green color and unique fragrance of its own. this beautiful oil can take your scattered mind and help pinpoint it to a calm, still center. Violets have heart shaped leaves often with scalloped or slightly serrated edges which are dark green, smooth or sometimes downy underneath, and grow in a rosette at the base of the plant. Roots are creeping and send out runners. Depending on soil and light the flowers may be from deep purple or blue to pinkish or even yellow whitish. 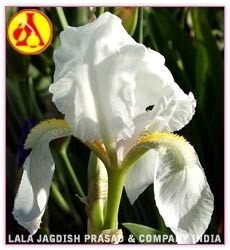 All have 5 petals, which may have a yellow (fur) or beard on the inside of two of the petals, blooming from March to June. Gather flowers in full bloom, leaves anytime, and rootstock in fall. An absolute is a prepared perfume material. Absolutes are highly concentrated, entirely solvent soluble and usually liquid perfume materials. They are obtained by solvent-extraction of concentrates or other hydrocarbon types of extract. Wax, terpenes and most of the odor less material are eliminated form the concretes during the preparation of absolutes. The concrete is usually extracted at room temperature or under gently heat. Several extractions are required in order to completely exhaust the odorous matter from the concrete. the mixed solvent extract are then chilled under stirring for a considerable length of time. waxes are precipitated in the cold and by subsequent cold filtration of the solvent extract, or by centrifuging, the solvent solution of the absolute is obtained. the solvent is removed by evaporation, which requires a gently vacuum towards the end of the distillation.An absolute is a prepared perfume material. Absolutes are highly concentrated, entirely solvent soluble and usually liquid perfume materials. They are obtained by solvent-extraction of concentrates or other hydrocarbon types of extract. Wax, terpenes and most of the odor less material are eliminated form the concretes during the preparation of absolutes. The concrete is usually extracted at room temperature or under gently heat. Several extractions are required in order to completely exhaust the odorous matter from the concrete. the mixed solvent extract are then chilled under stirring for a considerable length of time. waxes are precipitated in the cold and by subsequent cold filtration of the solvent extract, or by centrifuging, the solvent solution of the absolute is obtained. the solvent is removed by evaporation, which requires a gently vacuum towards the end of the distillation. 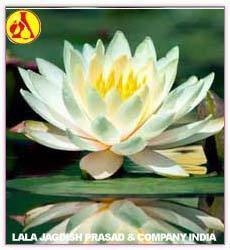 Authentic White Lotus oil (absolute - Nelumbo nucifera) from Tamil Nadu, India, wild harvested, distilled from flowers. The beautiful, captivating fragrance of PURE White Lotus Essential Oil. This rare floral scent comes to us from India.Authentic White Lotus oil (absolute - Nelumbo nucifera) from Tamil Nadu, India, wild harvested, distilled from flowers. The beautiful, captivating fragrance of PURE White Lotus Essential Oil. 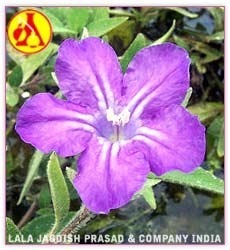 This rare floral scent comes to us from India. Saffron is known to be one of the most expensive spices. This is because the stigmas of the plant are handpicked to make the spice. Saffron oil has a very interesting odour. It has a woody, spicy, hay like odour. Saffron oil also contains a chemical known as Safranal and it is restricted by IFRA to 0.005% in perfumes. Use with caution. We are currently out of the Saffron Absolute. The Saffron Oleoresin we currently have in stock is a very nice substitute. It is thicker and contains a mixture of essential oils other plant material from the saffron plant. Rare & precious Saffron Attar! This prized Saffron oil has a rich, warm, exotic and beautifully decadent aroma. 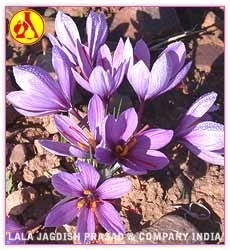 Saffron is renowned for bringing good fortune, obtaining blessings from the Divine and prosperity. Saffron is one of the Attars use in our Wealth & Prosperity Perfume Anointing Oil and Wealth & Prosperity Hindu Meditative Ritual Kit. Saffron Attar is also one of Lakshmis favorite colors pure gold! 100% Pure Saffron Attar, imported directly from India and crafted by a Steam Distilled.Saffron is known to be one of the most expensive spices. This is because the stigmas of the plant are handpicked to make the spice. Saffron oil has a very interesting odour. It has a woody, spicy, hay like odour. Saffron oil also contains a chemical known as Safranal and it is restricted by IFRA to 0.005% in perfumes. Use with caution. We are currently out of the Saffron Absolute. The Saffron Oleoresin we currently have in stock is a very nice substitute. It is thicker and contains a mixture of essential oils other plant material from the saffron plant. Rare & precious Saffron Attar! This prized Saffron oil has a rich, warm, exotic and beautifully decadent aroma. Saffron is renowned for bringing good fortune, obtaining blessings from the Divine and prosperity. Saffron is one of the Attars use in our Wealth & Prosperity Perfume Anointing Oil and Wealth & Prosperity Hindu Meditative Ritual Kit. Saffron Attar is also one of Lakshmis favorite colors pure gold! 100% Pure Saffron Attar, imported directly from India and crafted by a Steam Distilled.